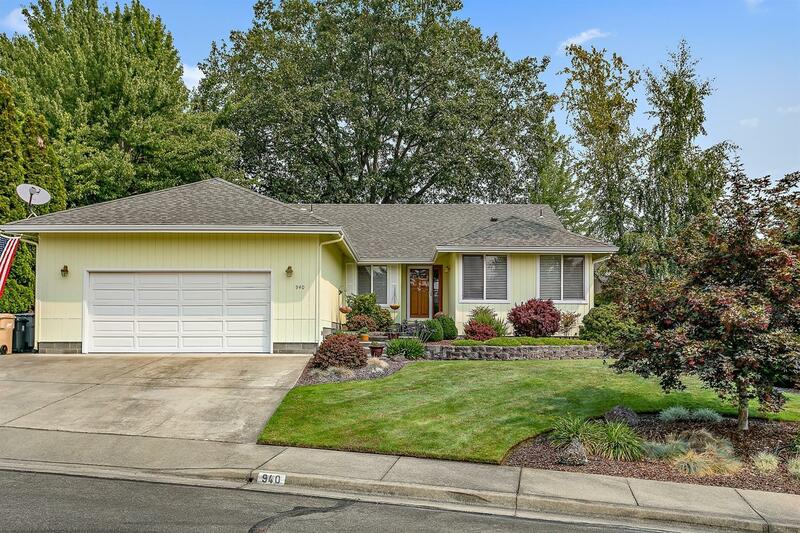 Beautiful home in NW Grants Pass has all the amenities you've been searching for. Featuring an immaculate 3 bedroom, 2 bath home with 1951 sf. The cook will love this kitchen with tile counters and floors, 5 burner natural gas stove, pantry, newer appliances, snack bar, and nook. Sunny and bright living room with formal dining. Great room has vaulted ceiling, free standing gas stove and slider to the patio. Spacious master suite vaulted 14 ft. ceiling, plant shelves, large walk-in closet, dual sinks, tile counter and shower and slider to the patio. Beautiful wood floors, skylight, newer roof and HVAC system. Laundry room with utility tub and cabinets. An attached two car finished garage with shelving. Low maintenance .19 of an acre in a cul-de-sac location. Convenient to schools, shopping and hospital. District 7 schools. Directions: Highland-Donna Drive. Will be on your right; close to end of cul-de-sac.